Aberdeenshire Council last week ratified the decision of the Aberdeen City and Shire Strategic Development Planning Authority to adopt supplementary planning guidance in support of the current structure plan. This follows ratification by Aberdeen City Council in late January. 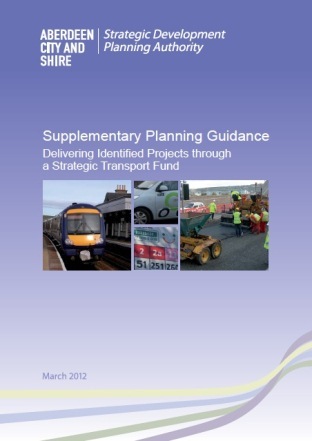 The new guidance is designed to support development by establishing a mechanism to deal with the cumulative impacts of new development on the transport network. The Aberdeen City and Shire Structure Plan (2009) highlighted the importance of dealing with these issues given the scale of development planned for the area over the next 25-30 years. The guidance was prepared in partnership with Aberdeen City and Aberdeenshire councils, Nestrans and Transport Scotland following joint work to assess the cumulative impact of the sites identified in the two local development plans. Considerable engagement took place during the preparation of the guidance, including a six week consultation period in October / November 2011.